SINGLING SPRING, PA – From the moment his father bought him a Casio keyboard at the age of 3, Alec Appoloni – AKA Kyduh – was hooked on music. By age 5 he was proficient at playing piano. By age 9 he’d taken up the drums and was experimenting with rock legends Led Zeppelin and the Beatles. By his freshman year of high school he’d taught himself the guitar and bass guitar, and it wasn’t long after that when he began to write music. The band he joined in high school began to tour all over the state, and during many of their jam sessions he found himself experimenting with hip-hop. 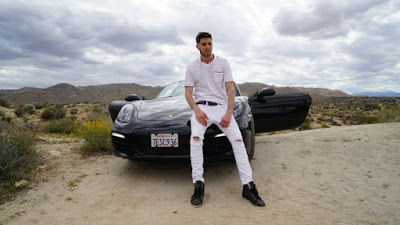 Today, Kyduh is one of the hottest rising stars in Rockford, and his new singles “Head First” and “Let Em Talk” are about to hit the country by storm. “Head First” is a song that chronicles his journey as a musician – focusing on the hard work and many hours of dedication it’s taken to get to where he is today. The second single, “Let Em Talk,” is a slower song that has more of a ballad feel, he said. It’s a song that he hopes will speak to a generation that wants to heal the divide that’s risen up throughout the country. It’s a song that speaks to race issues and ultimately challenges fans to appreciate love above all and its ability to transcend anything, including racial tensions. Fans who want to check out his music can visit his Soundcloud page. Fans can also find out more about new music releases and live shows by following him on Instagram and Twitter under the handle @kyduhmusic.